Solo Muyundo, also known as "Solo 7" is an artist living in Kibera. 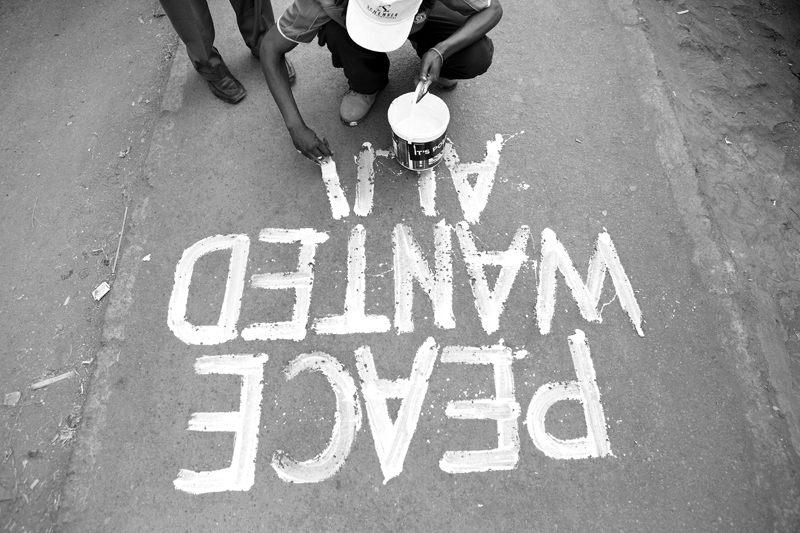 Solo started painting messages around Kibera during the post election violence of 2007/08. Solo 7 paints "Peace Wanted Alive" in Kibera on March 4th, 2013 in the slum of Kibera in Nairobi, Kenya.